This article is about The Coromandel Coast of India. For the similarly named region in New Zealand, see Coromandel Peninsula. The Coromandel Coast is the southeastern coast region of the Indian Subcontinent, between the Eastern Ghats and the Bay of Bengal of the Indian Ocean. The coastline runs between False Divi Point in the north to Kanyakumari in the south. Its definition can also include the northwestern coast of the island of Sri Lanka. 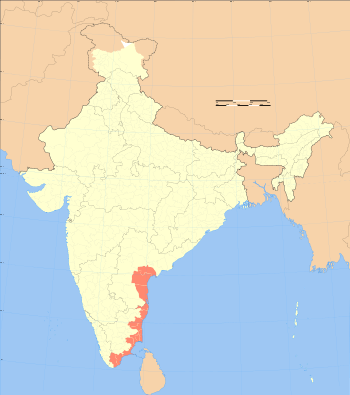 The land of the Chola dynasty was called Cholamandalam (சோழ மண்டலம்) in Tamil, literally translated as The realm of the Cholas, from which the Portuguese derived the name Coromandel. The coast is generally low, and punctuated by the deltas of several large rivers, including the Kaveri, Palar, Penner, and Krishna River, which rise in the highlands of the Western Ghats and flow across the Deccan Plateau to drain into the Bay of Bengal. The alluvial plains created by these rivers are fertile and favour agriculture. The coastline forms a part of Tamil Nadu and Andhra Pradesh. The important ports include Chennai, Thoothukkudi, Nellore, Ennore and Nagapattinam, which take advantage of their close proximity with regions rich in natural and mineral resources and good transport infrastructure. The Coromandel Coast falls in the rain shadow of the Western Ghats mountain range, and receives a good deal less rainfall during the summer southwest monsoons, which contributes heavily to rainfall in the rest of India. The region averages 800 mm/year, most of which falls between October and December. The topography of the Bay of Bengal, and the staggered weather pattern prevalent during the season favours northeast monsoons, which have a tendency to cause cyclones and hurricanes rather than a steady precipitation. As a result, the coast is hit by inclement weather almost every year between October and January. The high variability of rainfall patterns is also responsible for water scarcity and famine in most areas not served by the great rivers. For example, the city of Chennai is one of the driest cities in the country in terms of potable water availability, despite high percentage of moisture in the air, due to the unpredictable, seasonal nature of the monsoon. The Coromandel Coast is home to the East Deccan dry evergreen forests ecoregion, which runs in a narrow strip along the coast. Unlike most of the other tropical dry forest Biome regions of India, where the trees lose their leaves during the dry season, the East Deccan dry evergreen forests retain their leathery leaves year round. The Coromandel Coast is also home to extensive mangrove forests along the low-lying coast and river deltas, and several important wetlands, notably Kaliveli Lake and Pulicat Lake, that provide habitat to thousands of migrating and resident birds. 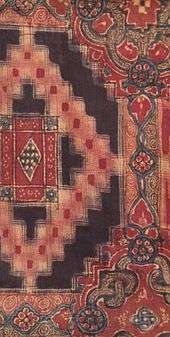 Sarasa chintz from the Coromandel Coast, 17th or 18th century, made for the Japanese market. Private collection, Nara Prefecture. 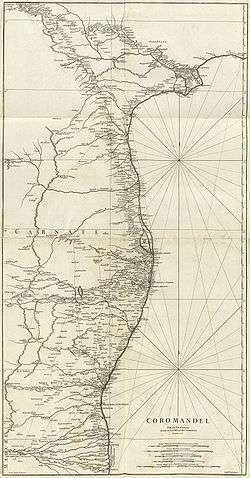 By late 1530 the Coromandel Coast was home to three Portuguese settlements at Nagapattinam, São Tomé de Meliapore, and Pulicat. Later, in the 17th and 18th centuries, the Coromandel Coast was the scene of rivalries among European powers for control of the India trade. 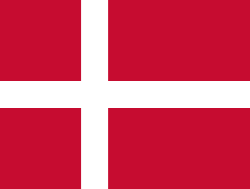 The British established themselves at Fort St George (Madras) and Masulipatnam, the Dutch at Pulicat, Sadras and Covelong, the French at Pondicherry, Karaikal and Nizampatnam, the Danish in Dansborg at Tharangambadi. The Coromandel Coast supplied Indian Muslim eunuchs to the Thai palace and court of Siam (modern Thailand). The Thai at times asked eunuchs from China to visit the court in Thailand and advise them on court ritual since they held them in high regard. 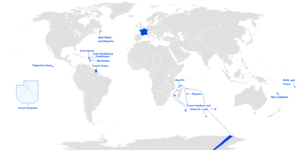 Eventually the British won out, although France retained the tiny enclaves of Pondichéry and Karaikal until 1954. Chinese lacquer goods, including boxes, screens, and chests, became known as "Coromandel" goods in the eighteenth century, because many Chinese exports were consolidated at the Coromandel ports. On December 26, 2004, one of the deadliest natural disasters in modern history, the Indian Ocean earthquake, struck off the western coast of Sumatra (Indonesia). The earthquake and subsequent tsunami reportedly killed over 220,000 people around the rim of the Indian Ocean. The tsunami devastated the Coromandel Coast, killing many and sweeping away many coastal communities. Four ships of the Royal Navy have borne the name HMS Coromandel after the Indian coast. The Coromandel Peninsula in New Zealand was named after one of these ships, and the town of Coromandel, New Zealand - after the peninsula, South Australia, and its neighbouring suburb, Coromandel East, gain their name from a ship, the Coromandel, which arrived in Holdfast Bay from London in 1837 with 156 English settlers. After the ship reached the shore, some of its sailors deserted, intending to remain behind in South Australia, and took refuge in the hills in the Coromandel Valley region. A red nail varnish made by Chanel is named coromandel due to its suggestions of exoticism. One of the earliest superfast trains of Indian Railways that runs between Howrah and Chennai is named Coromandel Express. In Slovene the idiom Indija Koromandija (India Coromandel) means a land of plenty, a promised land, a utopia where "Houses are bleached with cheese and covered with cake". The 1955 historical novel Coromandel! by John Masters describes a young English adventurer arriving in the 17th Century at the Coromandel Coast - the founder of the Savage family, whose descendants' lives at various periods of British rule in India appear in other books of Masters' series. There is a well-known poem by the Indian poet and freedom fighter Sarojini Naidu titled 'Coromandel Fishers'. Also, the little-known early 20th-century poet Walter J. Turner wrote a poem entitled 'Coromandel'. "The Courtship Of The Yonghy-bonghy-bo" by Edward Lear is set on the Coast of Coromandel. Coromandel Wood is referred to by Dame Edith Sitwell in her poem "Black Mrs Behemoth", part of "Façade", the grain of which, she likened to the rolling, curling smoke of a blown out candle. Her brother, Sir Osbert Sitwell composed a poem entitled "On the coast of Coromandel". "Coromandel Sea Change" is a 1991 novel by Rumer Godden about a diverse group of guests staying at a hotel on the Coromandel coast. ↑ Slovar slovenskega knjižnega jezika "Indija Koromandija"